Our FUTURE is in the building of SUSTAINABLE COMMUNITIES. The term “sustainable communities” has various definitions, but in essence refers to communities planned, built, or modified to promote sustainable living. Sustainable communities tend to focus on environmental and economic sustainability, urban infrastructure, social equity, and municipal governing. In a sustainable community, resource consumption is balanced by resources assimilated by the ecosystem. The sustainability of a community is largely determined by the web of resources providing its food, fiber, water, and energy needs and by the ability of natural systems to process its wastes. A community is unsustainable if it consumes resources faster than they can be renewed, produces more wastes than natural systems can process or relies upon distant sources for its basic needs. Please enjoy learning about how many are now realizing that the way of the future is for us to take control of our own lives by becoming self-sufficient. This is achieved by growing our own food, collecting our own water, planting our own seeds, managing our own waste products and handling our own affairs. Time has shown that the power we have entrusted to our governments has gone to their heads and we are now fast losing our freedom. Toby Hemenway is a frequent teacher, consultant and lecturer on permaculture and ecological design throughout the U.S. and other countries. His writing has appeared in magazines such as Natural Home, Whole Earth Review and American Gardener. He is an adjunct professor in the School of Graduate Education at Portland State University, a Scholar-in-Residence at Pacific University, and a biologist consultant for the Biomimicry Guild. No Weeding- No Watering- No Pesticides- No GMOs- No Fertilizers- Ever! Imagine a food garden that you only have to plant once in your life-time, that takes up very little space, that will provide food for you and your family for the next 30 years; that can grow five times more food per square foot than traditional gardening; and where you never have to weed, never have to water- never have to use fertilizers and never have to use pesticide– ever. 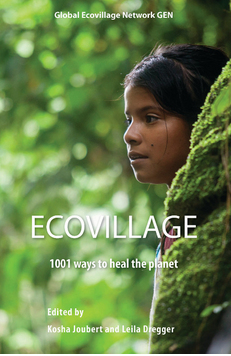 Eco and Sustainable Communities around the globe. In 2005, Damanhur received recognition from the United Nation’s Global Forum on Human Settlements as a model for a sustainable society. The award was no accident. It was the result of Damanhur’s deep respect for the environment as a conscious, sensitive entity and our citizens’ commitment to co-existing with the plant and animal worlds (as well as intelligence’s that inhabit this universe) in a reverent and nurturing way. One expression of this philosophy is Music of the Plants, in which communication with the plant world inspires concerts where the musicians are trees, and plants play music alongside human musicians. Damanhur citizens cultivate organic food and livestock, and restructure and build according to green building principles. Some citizens have created companies in the fields of renewable energy, eco-clothing, food production, and much more. Damanhurians prefer natural healing methods and a holistic view of wellness, but not to the exclusion of science and medicine. The goal is to appreciate life in all its forms, while leaving the lowest possible impact on the environment. Where appropriate, leading-edge technologies are employed as a valuable ally in the defense of health and nature. Narara is about living in harmony with nature, preserving natural habitats on village land and homes built with minimal environmental impact. The Ecovillage at Currumbin is an international award winning sustainable community located in south-east Queensland, Australia. The 270 acre site is set the hinterland, 7 minutes from the beautiful Currumbin Beach on the Gold Coast. Bellbunya is a living, breathing community of people that is a demonstration centre for sustaining living on the Sunshine Coast Hinterland in Queensland Australia. Within the Findhorn Ecovillage, sustainable values are expressed in the built environment through there ecological houses, innovative use of building materials such as local stone and straw bales, the beauty in the architecture and gardens, and applied technology in the Living Machine sewage treatment facility and electricity-generating wind turbines. Sustainable values are also expressed in the community’s social, economic and educational initiatives. Findhorn Ecovillage looks at sustainability not only in environmental terms, but also in social, economic and spiritual terms. There are undoubtedly more approaches to sustainable community development than there are terms used to describe it in the literature, and there are many terms. Sustainable community development is often referred to as ‘green development’, ‘green real estate development’, ‘green communities’, or ‘sustainable built environments’, ‘sustainable communities’, ‘sustainable real estate development’ and ‘healthy communities’. The worlds first 5 star Sustainable Community and Display Centre. Imagine your own private retreat of pristine waterfalls, virgin rain forest and crystal clear rock pools carved from a million years of water flow. Rim Haven is located on the Scenic Rim at Beechmont in the Gold Coast hinterland, nestled between Tamborine Mountain and the Lamington Plateau. An hour from Brisbane, just under 38kms to the Gold Coast’s beaches and only a short 10-minute drive to Binna Burra, the region is renowned for its stunning views, ideal climate and is a popular destination for bush-walkers and nature enthusiasts. The expansive views of Mount Warning are simply breathtaking. 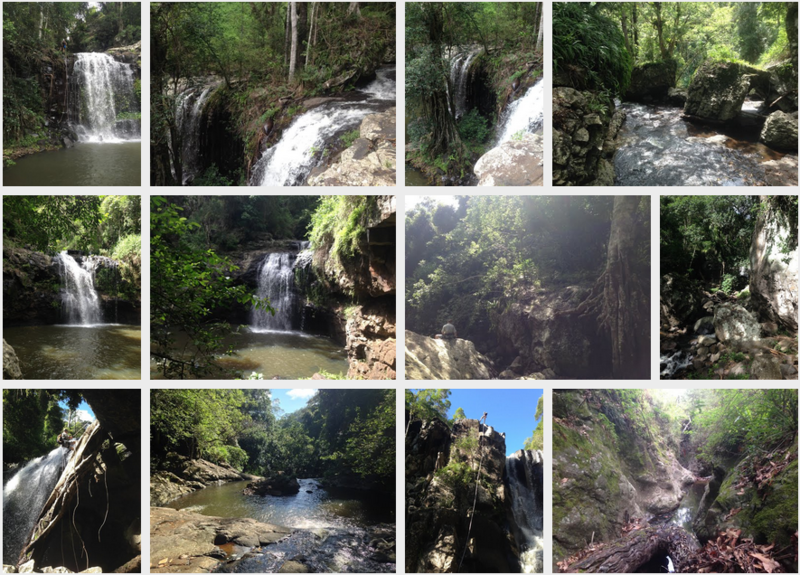 Rim Haven is one of the largest privately held rain forest parcels within touching distance of the Gold Coast. Stunning views and the ideal climate make Rim Haven a piece of Heaven on Earth. Sustainable Communities are intentional communities whose goal is to become more socially, economically … into the natural world in a way that is supportive of healthy human development, and can be successfully continued into the indefinite future.”.